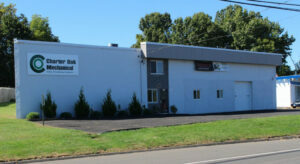 Charter Oak Mechanical is where you will find the best heating contractors in greater Hartford - and all of Connecticut. What were your home heating bills like last winter? Is your inefficient heating system costing you money? The snowy season is on its way. Call Charter Oak Mechanical the premier heating, ventilation, air conditioning, and refrigeration specialists covering the state of Connecticut. We have served the greater Hartford County region for over 25 years and have a stellar reputation. Our technicians are thorough and professional. If installed within the past twenty years, consider having your heating system inspected for efficiency and have your furnace cleaned regularly. Ask about signing up for a Charter Oak Mechanical service contract. Give us a call today to make your appointment for a heating consultation. If you are distraught about another winter's home heating oil fuel bills, have Charter Oak Mechanical come out for a consultation. If you have an older furnace or your unit has not been maintained, a new heating system will save you money. You may need a new furnace or boiler. Charter Oak Mechanical is the perfect Heating Contractor specialist that can will install, repair, replace, or maintain your boiler or furnace. We can fix any heating problem so you can finally feel comfortable at your home or business. We keep the most popular parts on hand in our service truck, so repairs can be made quickly. At Charter Oak Mechanical we are proud of our excellent customer service. We invite you to ask questions about your options, as we will always explain to you what we will be working on before getting started. For your local reliable heating system contractor, please call Charter Oak Mechanical at 860-432-8915.